The showcase is fitted with a heating resistenze placed above the axial fan (convectional system) and the water storage drawer which allows gentle humidification in the heated display area. 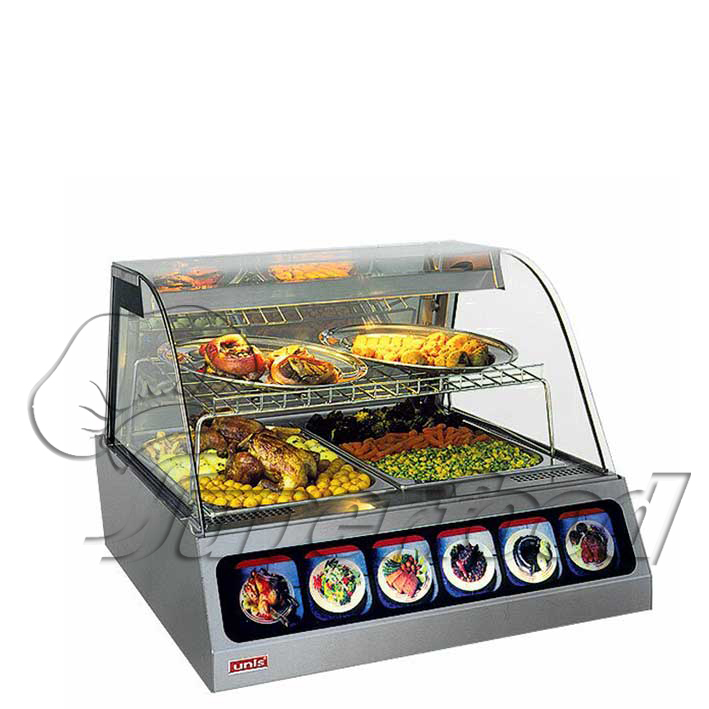 A halogen quartz heater lamp or fluorescent lamp light is fixed in the upper part of the showcase. A removable racks allows for the extension of the display area.